Double digit alphanumeric tally cue light. 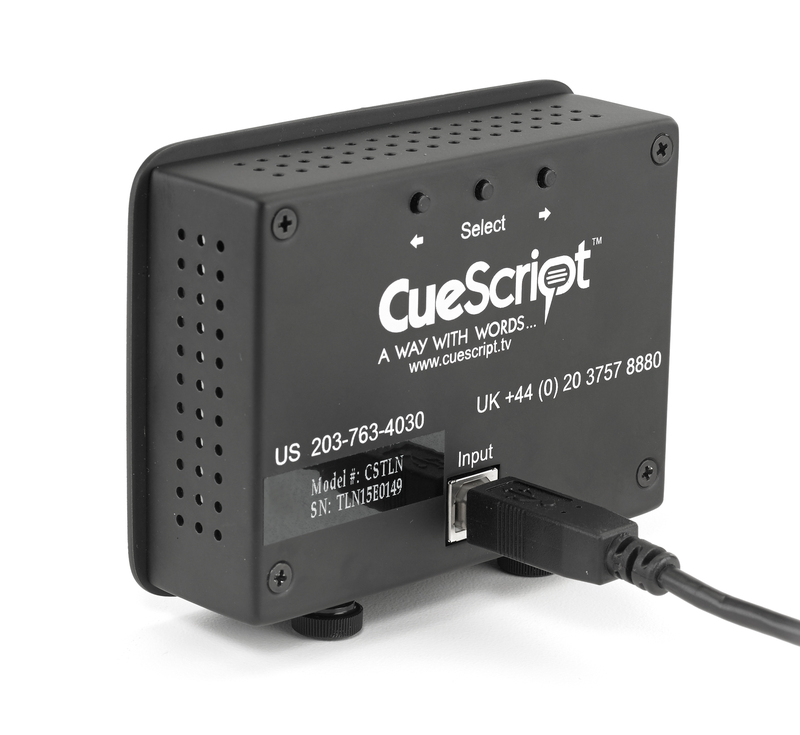 The CueScript CueNumber tally system is powered by mini USB and designed to plug directly into the USB output connector on the CueScript monitors. 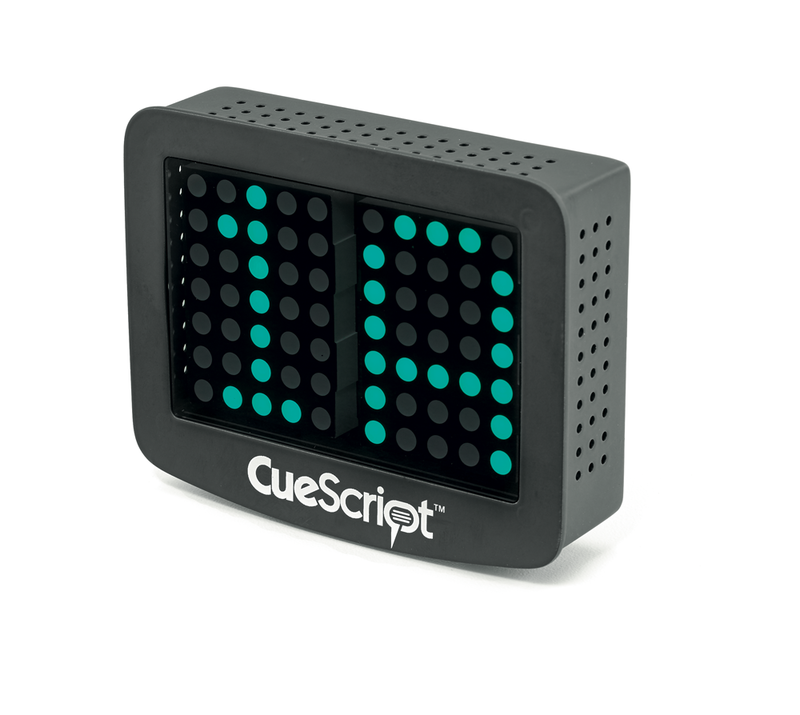 The green numbers and/or letters will change to red when the tally signal is received. 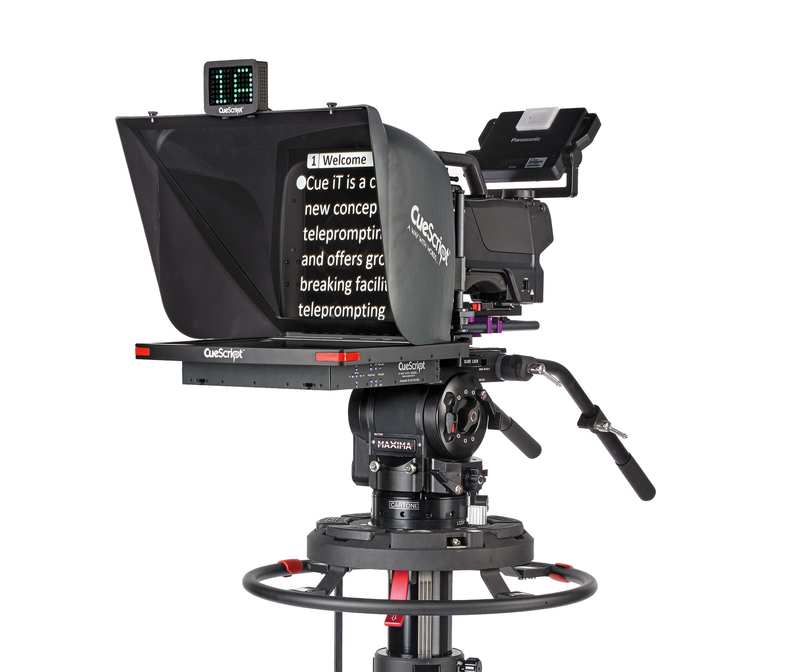 LED brightness is adjustable.